Our Mississippi Gulf Coast RV Park is conveniently located in Pass Christian, Mississippi, right off of Interstate 10 at Exit 24, just 6 miles from the beautiful beaches, 9 miles west of Gulfport, and 1 hour east of New Orleans. We offer a comfortable, convenient and affordable place to stay while you explore all the MS Gulf Coast has to offer! We're just a short drive from the beach, and our location on I-10 at Menge Avenue makes it quick and easy to get to any location along the coast! 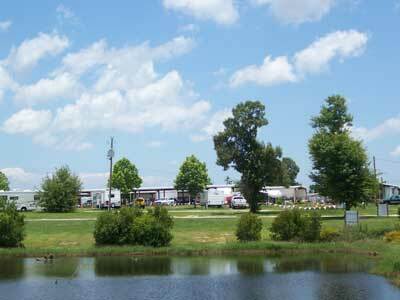 The Flea Market & RV Park at Menge is family owned and operated for more than 20 years. 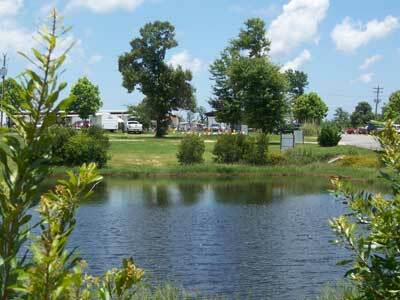 We're open year-round, so with competitive rental rates, we offer a hassle-free RV camping experience! Rates include: water, sewer, electric (20-30-50 amp) & sales tax. * Campers/RVs with manufacture dates over 20 years old NOT ACCEPTED. No conversions. * Based on 2 person occupancy. Additional charges will apply. NO GENERATORS may be run at any time anywhere on the premises. The Flea Market is open every Saturday and Sunday from 8am until 5pm. Enjoy free admission and free parking! Visit us at 8095 Menge Avenue, Pass Christian, MS. We’re just off Interstate-10 at Exit 24 (9 miles west of Gulfport and 1 hour east of New Orleans).